Make a power play for big attendance. 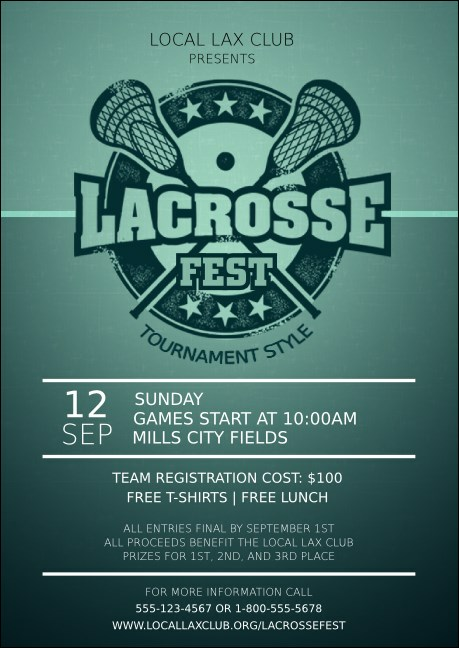 Hand out the Lacrosse Postcard before your next tournament and get your fans to your game! Seventeen lines of silver text announce your details on a steel blue background. Form a promo team with tickets, flyers, and invitations in a Matching Event Kit. Don't stall on your planning! TicketPrinting.com is here for the assist!